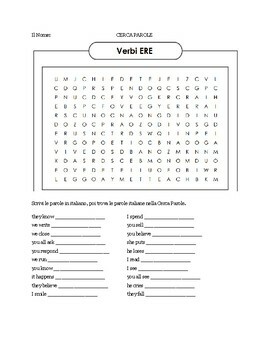 This free resource is a word search where students must conjugate ERE verbs correctly and then find them in the word search. Good for a homework assignment or quiet activity after a quiz! Answer key included.